Do you want more? Well, C2 Classic Cuisine will give you more and more and more Crispy Pata. Yes! 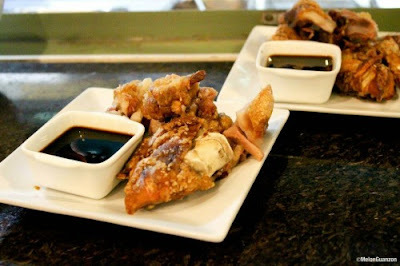 you read it right, "Unlimited Crispy Pata," because diet is not allowed. 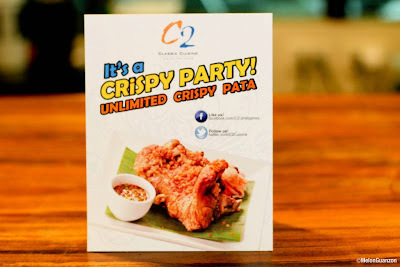 But wait, before you decide to go to C2 Classic Cuisine, make sure your destination is to Greenhills, Unlimited Crispy Pata at C2 Classic Cuisine is available only at Greenhills branch for now. C2 Classic Cuisine is a affiliate of Center for Culinary Arts Manila. The promo is priced at P299 per person, and P199 for those who would book in advance. Comments or suggestions about "Unlimited Crispy Pata at C2 Classic Cuisine" is important to us, you may share it by using the comment box below.